With immeasurable quantities of fresh content at our fingertips every day, attempting to stay on top of it all is a fruitless mission. And even if there are only a select few sites that you check on a daily basis, working through all the latest updates is near on impossible. So if finding time in your busy schedule to steam through your bookmarks is limited, then hopefully our new series titled, 'What We're Reading This Week' will save you wasting your time with mediocre news stories. We kick things off today with five articles selected by THE IDLE MAN team covering a broad range of topics ranging from the light hearted to the informative. "An oldie but a goodie from the always hilarious Wunderground as they make even more of a mockery of the joke that already is Paris Hilton." - Luke, Copywriter. "Ahead of the first ever men's New York Fashion Week in July, the always-informative Complex has put together an insightful article on its significance for American menswear, with a series of quotes from various influential names in the field." - Gaby, Marketing Assistant. "A lot of recent controversy over independant artists being unable to upload tracks/mixes due to the new filters put in place to stop copyright. Fader caught up with a group of DJs, producers and journalists to get their take on the issue." - Jordan, Head of Design. "Native New Yorker Pete Pabon sits down with another native New Yorker, the legendary street photographer, Ricky Powell, to discuss everything from snapping Mike Tyson to finding inspiration. An insightful read for anyone remotely interested in hip-hop music and/or photography. - Greg, Editor. 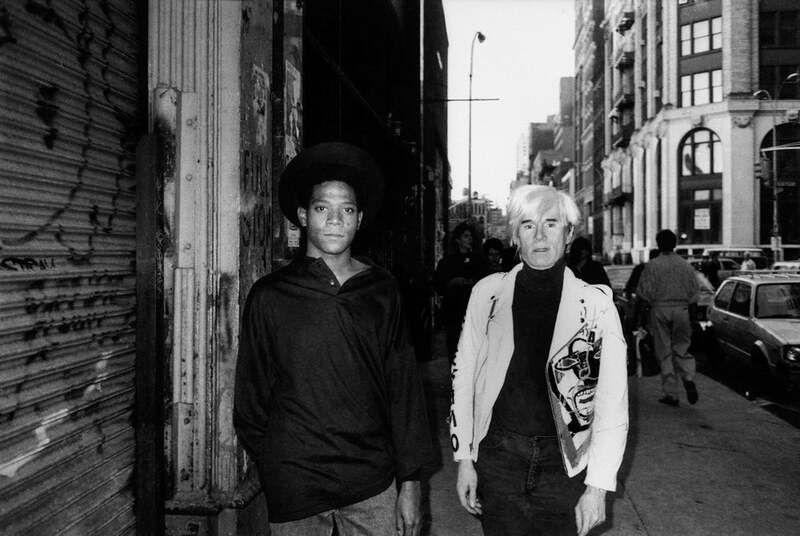 Photo Credit: Ricky Powell - Warhol and Warhol on Mercer St. NYC. 1985. "I came across this article about the La Sape movement and was immediately intrigued by it. It's refreshing to see how fashion influences so many people around the world. We don't realise how strict and political certain countries are when it comes to expressing yourself and this shows just how amazing and free fashion makes these individuals." - Bee, Head Stylist.